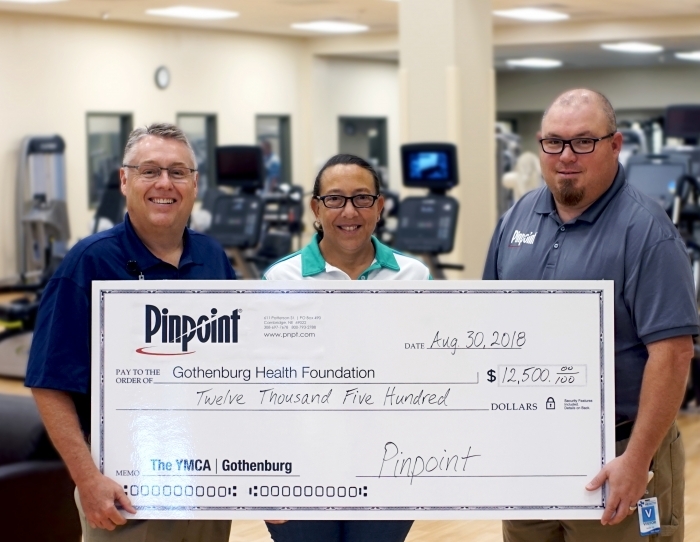 Gothenburg, Nebraska, August 30, 2018 – Pinpoint publicly announced their $12,500 gift to the Gothenburg YMCA Capital Campaign. Pictured from l-r are: Mick Brant, Gothenburg Health CEO and Gothenburg Health Foundation Vice President; Julie Czochara, YMCA at Gothenburg Health Executive Branch Director; Tom Shoemaker, Pinpoint President. The YMCA building officially opened to the public in April of this year. As a result of significant local generosity from many local families and businesses such as Pinpoint, the YMCA building was fully funded when opened. The Gothenburg YMCA has year-round recreation opportunities for all ages and socio-economic backgrounds. The facility includes a gymnasium; a four-lane swimming pool with space for kids play and physical therapy; an indoor walking track; a wellness center with weights and cardio machines; a spacious group exercise room; men’s, women’s and family locker rooms; a fun and educational child watch room, and a comfortable social lobby with free Wi-Fi access. In addition to all these primary components, there is an abundance of educational space available depending on community wants and needs. This space could be used to provide mentorship programs, after-school programs and career development opportunities for students, to name a few ideas considered. The YMCA is a non-profit organization focusing on strengthening the community through youth development, healthy living, and social responsibility. Pinpoint connects thousands of people and businesses every day delivering high-quality Internet, video service with advanced features, and local and long-distance phone service. Pinpoint also provides a wide array of business technology solutions including managed Wi-Fi, cloud solutions, telephone and Internet service and more. Pinpoint focuses on providing the best technology and support from people that are truly committed to our customers. Pinpoint ensures its customers unsurpassed local support and a commitment to making Nebraska a focal point for technology excellence. We also pledge that same level of devotion to our local communities, supporting local organizations, groups, schools and more through donations, community participation and support. Headquartered in Cambridge, Nebraska, and founded by Cambridge Telephone Company, Pinpoint and its affiliate companies have been delivering quality services for nearly 100 years. 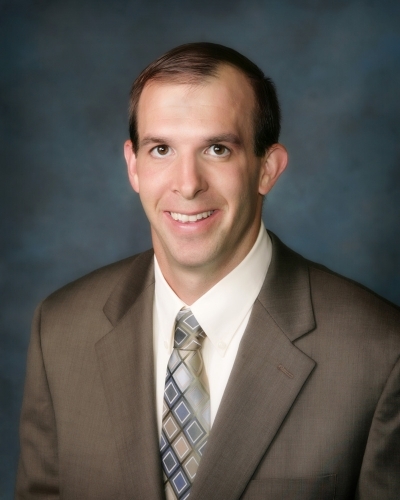 Today, Pinpoint continues to be a provider of high-quality service, dedicated to customer excellence. Pinpoint endeavors to build on that reputation, never forgetting the roots of the company and the business values under which we operate. For more information, please contact Karla Whipple: karla.whipple@pnpt.com. Gothenburg Health Foundation is a 501c3 Non-Profit Organization. It is the primary organization responsible for raising funds for the Gothenburg YMCA project. For information, please contact Becky Jobman: bjobman@gothenburghealth.org or (308) 537-4094.